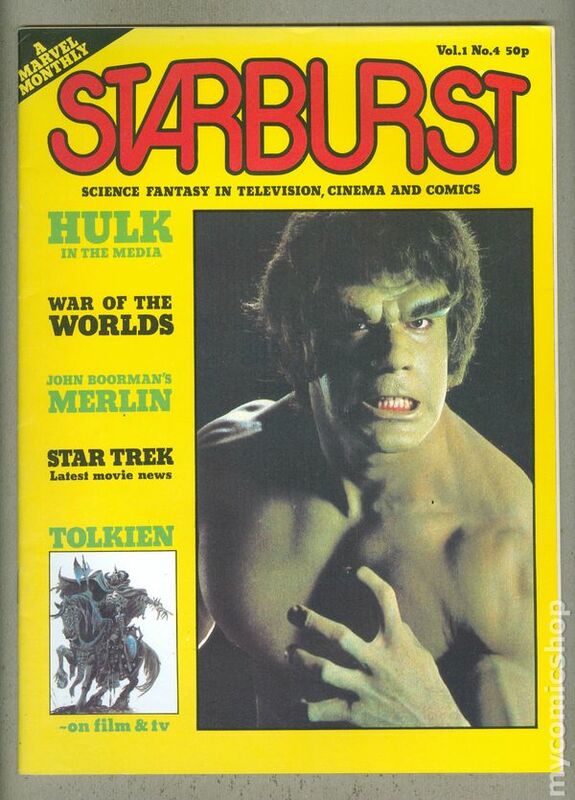 Published Dec 1978 by Visual Imagination Ltd..
Starburst is Marvel's British magazine about "science fantasy in television, cinema, and comics." 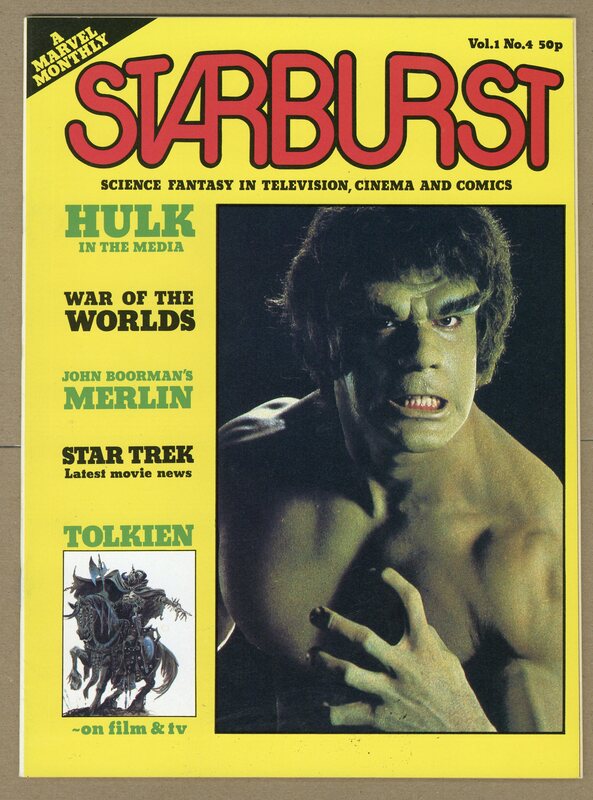 Issue #4 includes: The Hulk on TV, Tolkien on Film, an interview with Stirling Silliphant, War of the Worlds retrospective and poster, John Boorman on Merlin, Star Trek update, and A Good Woman strip by Steve Moore (story) and Chris Baker (art). 46 pgs. Original Cover Price: 50p. 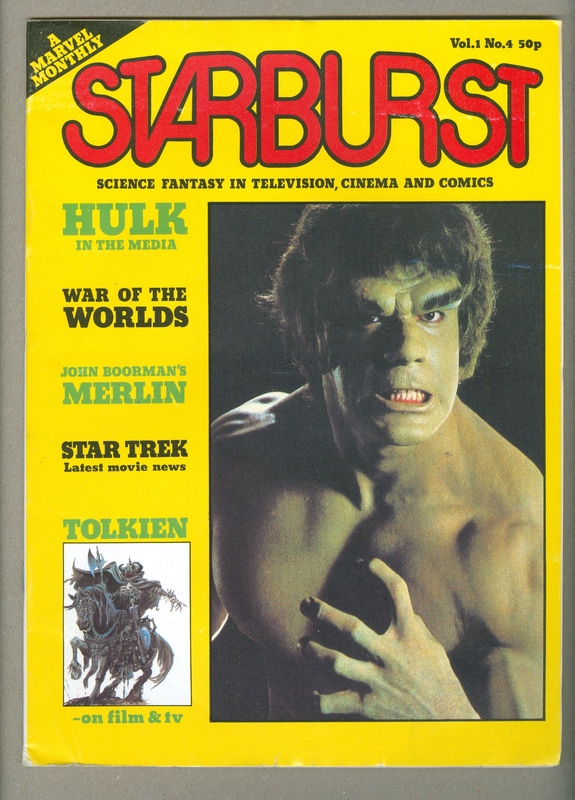 Nov, 1978. NOTE: #4-87 published by Marvel Comics.